Big plate was born the exact same moment Walter Godefroot crossed the line to win the tour of Flanders in 1968. He was born early and swiftly, which was to characterise much of his life. BigPlate was christened the very next day as the doctors had never seen an infant with such a huge lung capacity that they thought he could not survive. Small indents were found on the soles of his feet and his buttocks and the local priest declared him a miracle baby – born to ride a bicycle. Bigplate’s father was a coal miner in Liege and would cycle there from his home in Brakel each day. The 100km round trip over cobbles and tank tracks were too much and when he was only 11, his father died of consumption and a fatal case of the knock. With no income, two hungry brothers, one afraid to go outside, Bigplate started riding to the coal mine and impersonated his father Mr axel Lineout . Within weeks he was getting to work in an hour and boasted the fastest with an axe in the mine. He was quickly promoted to the Mine office where he managed the company accounts but by 14 years old, was noticed by Jean de Gribaldy when he was riding home from a long shift at the mine, passed the whole Flandria team out training. Only Freddy Maertens could hold his wheel. He rose through the amateur ranks quickly in 1980, nearly winning many local races and nearly placing in some professional kermesse racing. Lineout’s sporting break came when he was selected for the Belgium team for the 1985 UCI Road World Championships in Giavera del Montello. Only for his sacrificial efforts for team mate Franck Van De Vijver, he would have won that day. BigPlate turned professional the next year for Kwantum Hallen-Yoko and made the winning break in the Four Days of Dunkirk before hitting a stray Yorkshire terrier within meters of the line. Bad luck came again when he was over 5 minutes ahead in the main peloton in the semi classic race Dwars door Vlaanderen. He was stopped and arrested by the Federale Politie for suspected steroid use, but when the blood test returned he was cleared when no banned substances were found but a surprisingly high content of a cheeky Bordeaux was found in his blood. The suspicion was to haunt him for the rest of his career. He moved to the Atala–Ofmega as their classic specialist and was named one of the favourites in the win Paris–Roubaix . He went with the early morning breakaway group and road full gas all day, never asking for help. It was on a section of cobblestones outside Roubaix that BigPlate broke away from the lead group to try for the victory. When he entered Roubaix, BigPlate ran over a plastic bag that flew out in front of him, which became jammed in his derailleur. He crashed and broke both legs in sight of the velodrome. This was to be the peak of Lineout’s career when after a long recovery, he failed to reach the heights of his power before the incident. There was a brief return a few years later but an incident of taking two bags in the feed zone , left his team leader, a young Sean Kelly- hungry and was the last time he started a professional race. He would never turn that 58 chainring again. 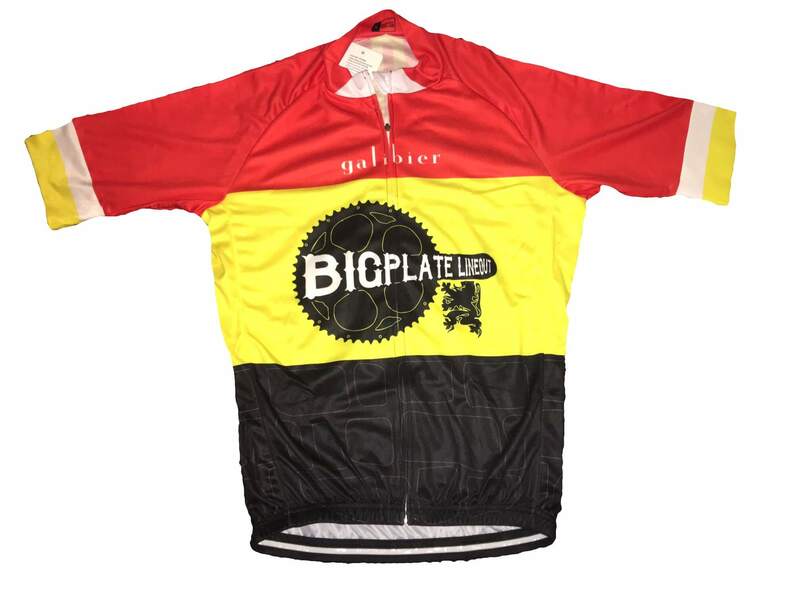 Three weeks ago, BigPlate disappeared off the front of a chain gang and refused to stop at a cafe. After a search his home, Police declared him missing presumed dead when not a single Swift session was recorded in this period. A memorial service is planned for the ‘Panther of Flanders’ a nick name he gave himself in a rare interview after crashing in the Neutralised zone in the Gent–Wevelgem. No body as yet has been discovered and some of his older fans still hold out hope of a return. The sightings of a ghostly figure in Belgium’s only vineyard outside Mol go unsubstantiated. He is survived by many women friends with broken hearts.